China's recent crackdown on foreign waste has shed much-needed light onto the global waste and recycling industries. 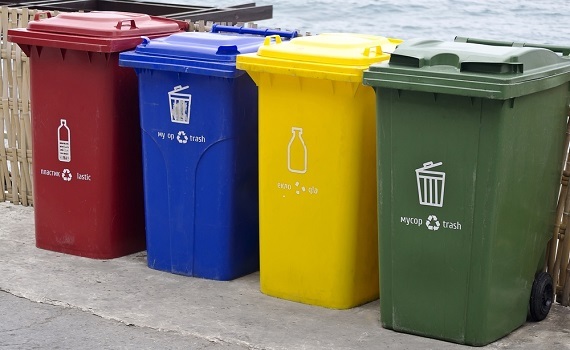 Instead of relying on a foreign power to deal with waste, countries need to make the transition to a circular model where waste can be collected, processed and reused to make new products. While conventional recycling is a big part of this process, production and distribution networks also need to support reduced packaging and the re-use of materials. Reducing plastic packaging is especially important, with manufacturers needing to lead the way by using more recycled materials. While the plastic bag ban in Australia is a major step forward and a great example of big business taking the lead, individual households need to do as much as they can without relying on sluggish government policies or changing business models. The need to take personal responsibility was recently highlighted in Australia, with the nation's stockpile of recycled materials now growing as China refuse to take on more foreign waste. The situation in Australia is not isolated, with all nations needing to develop industries that deal with their own rubbish instead of shipping it overseas. Environmental foundation Planet Ark sees the current crisis as an opportunity for Australians to become more conscientious recyclers. According to CEO Paul Klymenko, everyone can learn from this crisis by reducing waste and managing contamination in their recycling materials: “We need to educate the community to recycle better, to invest in our recycling facilities and obviously we need to invest in ways of reprocessing that material onshore”. Along with better recycling habits, households also need to purchase less packaging from the outset. Many experts see this model as the way forward, with specific reuse and recycling facilities needing to create value around materials previously seen as waste. While individual households can do a lot straight away to reduce their own waste footprint, large systemic changes will only come about when reuse and waste management industries can build an economic model that makes sense. While households can always take the lead, there is a growing call for businesses to be given an incentive to invest in waste free regenerative systems.